Happy Friday Novembery peeps! This lovely tree lives in our backyard. Sadly, it is lovely no more - all the leaves have dropped. 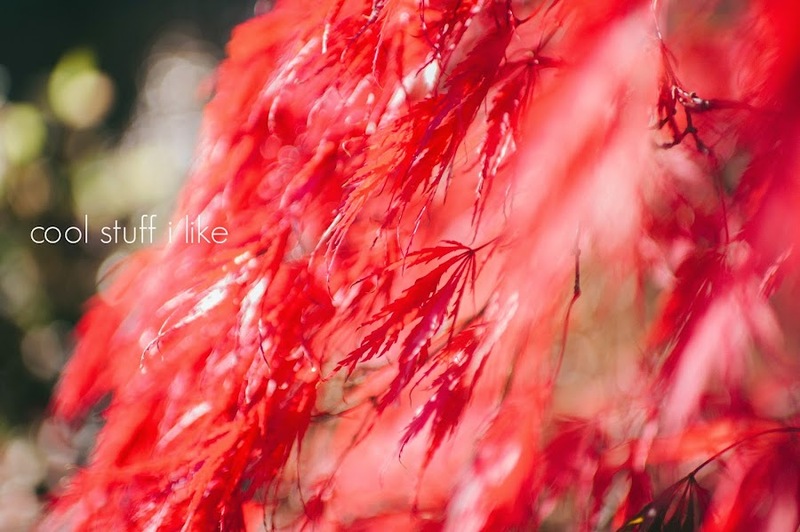 It's amazing for about 4 days this tree - vibrant, fire red and then boom, it drops all the leaves in one big swoosh. It's very cold right now! Is it cold where you are? (don't answer, California friends, I know it's not cold where you are) I've been going to bed way too late and I just can't do it. I feel like someone punched me in my brain when I stay up past midnight. So today is going to be short and to the point. When has THAT ever happened on this blog? Hanna Andersson has opened Hanna Home, a decor division. Fun crafts for the holiday season. Thanksgiving recipes that kids will like. I will be 1ST in line for this new translation of Grimms' Fairy Tales, with much scarier, undiluted, original versions of the stories! Did you know there was a website called Stuffingandmore.com? Now you do. Swedish Christmas Books. Yep. We're officially doing Christmas now! I will attempt to explain the plot, which mostly I've gleaned from watching the show. Julia is in stitches over how confused I get about what's going on. (Is that guy a bad guy? Why is he bad? Why did they throw that book down a well? What do you mean, it's not the REAL book? What the hey is going on????) All the offspring of fairy tale characters go to school together and Do Stuff. One of the main characters, Raven Queen, is the daughter of The Evil Queen, (but Raven's good) and everyone who goes to the school is supposed to sign some Book of Legend because.....I don't know why. Life will then unfold the way it's been predetermined. Or something. But Raven doesn't want to because she wants to make her own story and chart her own path. So there are two groups of kids, Royals and Rebels. Royals are like the preppy, do-goody kids, and the Rebels are kids who don't care as much about fitting in perfectly. Or something. That's about all I know. Anyhoo, Julia's wild about the books and if I had had these books when I was her age, I would have been too! I kind of want to read them so I'll understand the show a little better. Ok so that was neither short or to the point. OH WELL. Have a lovely weekend! ha ha ha! Too GRIM! tee hee! Crazy huh! The let's go a-slaughtering one? What the what?? I think the limbs are actually a plus-ball jointed dolls are very popular and can be super expensive. I'm no expert, but my daughter is-and I have gleaned a bit of information over the years. She loves the Monster High and EAH dolls, she collects them. this is all very intriguing! I vastly prefer the EAH dolls to Monster High, but what I really love are little Japanese anime dolls. Like Little Dal and Little Pullip, have you seen those? SO cute! Haha, Little Sis has those four episodes on Netflix on repeat, I swear! She got a doll for her birthday, and I didn't want to go there (too Monster High for me), but I let her. 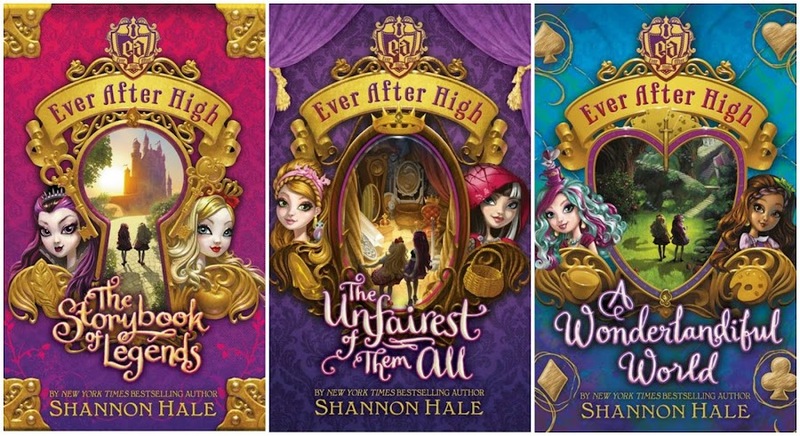 And I do like Shannon Hale, so I've wondered about the books. Big Sis has the Christmas music on on the radio, all the time (unless she's listening to her new Taylor Swift cd). The Swedish Christmas books make me feel sad, because I don't get to go to Lindsborg for Lucia this year. If Big Sis continues to do The Nutcracker each year, then I never will, because it will always conflict. So sad. I added that Grimms book to my Amazon wish list two days ago! I've read a lot about the changes in The Annotated Brothers Grimm by Maria Tatar, but it will be awesome to actually read them for myself! I just showed Mr. B the stuffing site. I thought of you when I saw the Hanna Andersson stuff the other day. I wish my kids would go for some of the Thanksgiving food on Hello Wonderful, but I know better. That dry clean-only, $300 tree skirt is for use with artificial trees only, right? ;) My computer keeps telling me I'm low on memory, and therefore will not load all the crafts on the Apartment Therapy page, but the bowls at the top are pretty? Sigh. Happy Weekend, dear friend! as you could probably surmise fiona is also OBSESSED with these books, and the show and she now has like, 4 of the dolls. she claims she is a rebel and of this i am proud. I know what you mean. Boom - one day all down. It's usually my favorite trees that do this too. That tree skirt is darling!